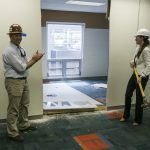 There is some symbolism to breaking down old walls to renovate a learning space for youngsters. 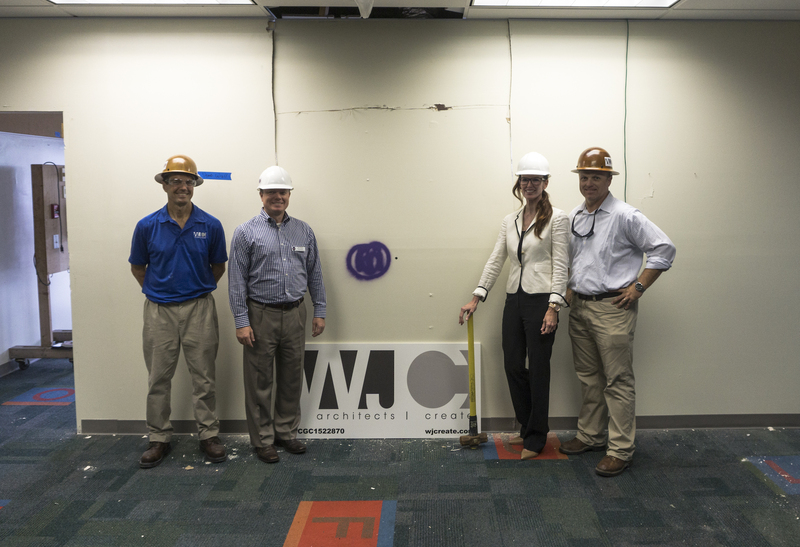 WJCreate (WJC) recently began transforming a 13,000-square-foot interior space for the Saint Paul’s School Early Learning Center in Clearwater. 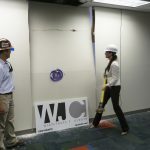 WJC is providing full-service, single-source architecture and construction – managing the project from concept to completion. 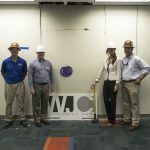 Leaders of both Saint Paul’s and WJC got together last month for a wall-breaking celebration to mark the start of the project. 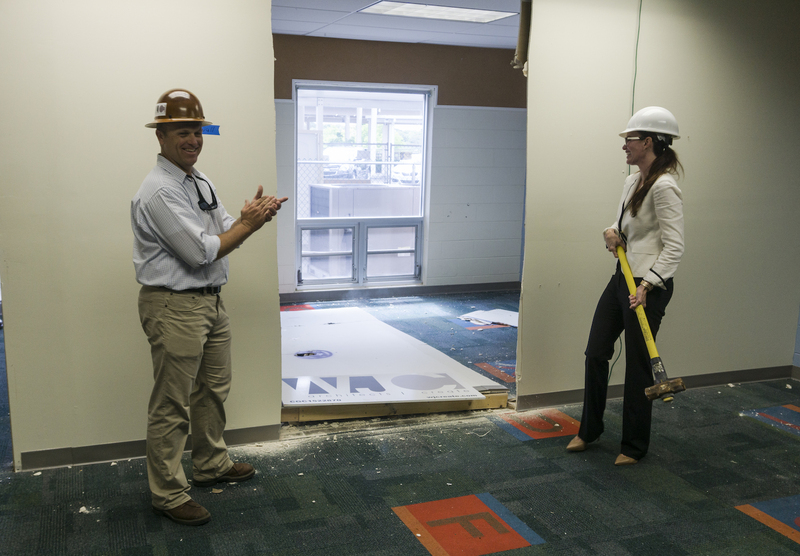 With a few sledgehammer swings, the renovation of Saint Paul’s state-of-the-art learning facility was launched. The design creates a more open/airy floor plan with fewer partitions between rooms and new windows for views and increased natural light. 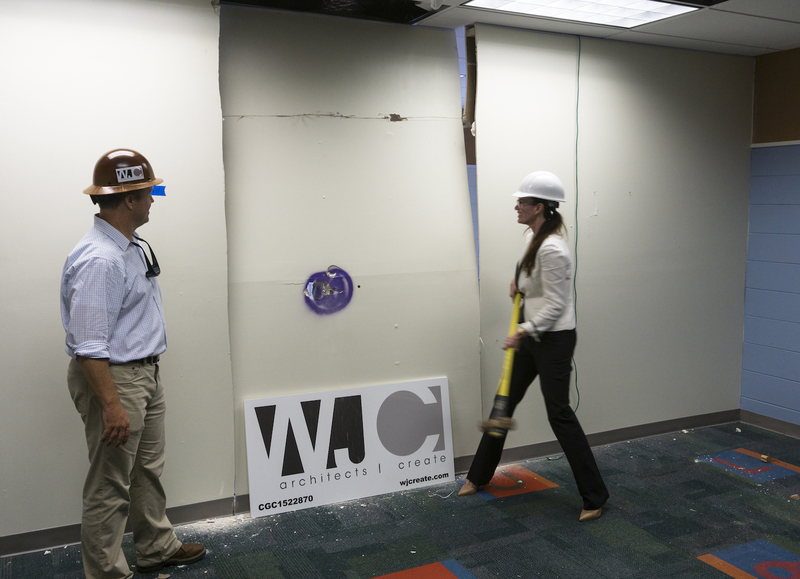 Essentially, WJC is helping reorient classrooms to create more stimulating common areas and collaborative spaces, both indoors and outside. The renovation will be complete in August, when the school will once again be filled with young minds learning in a 21st century facility. Saint Paul’s School is an independent Episcopal school located in Clearwater, Florida, serving ages three through eighth grade. Founded in 1968, the School is a nonprofit institution governed by an independent Board of Trustees. Since its founding, Saint Paul’s vision has been to provide a nurturing, holistic environment in which to challenge students.